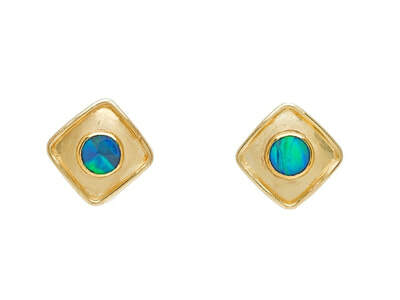 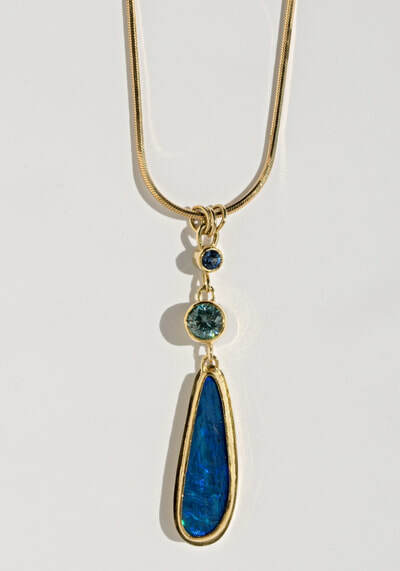 Honored as the birthstone for October, the Opal is the gem given for the 14th and 34th wedding anniversaries. 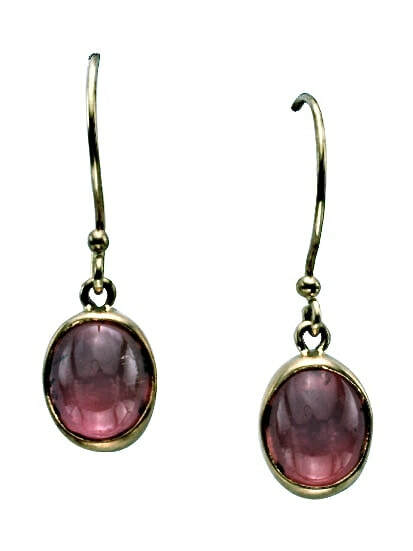 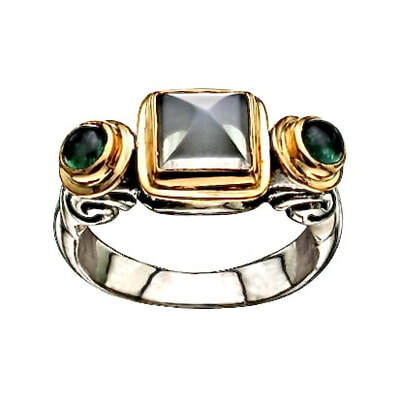 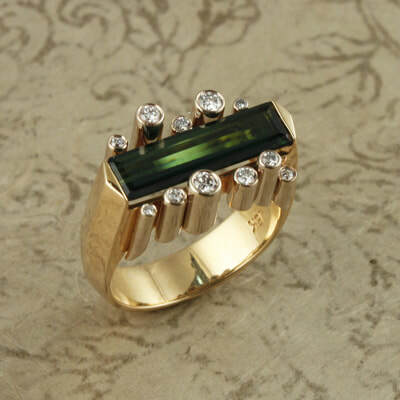 Tourmaline is also celebrated t﻿his month; given as a gift it is symbolic of hope. October's birthstone treats us to a fresh burst of color, like a rainbow following a summer rain. 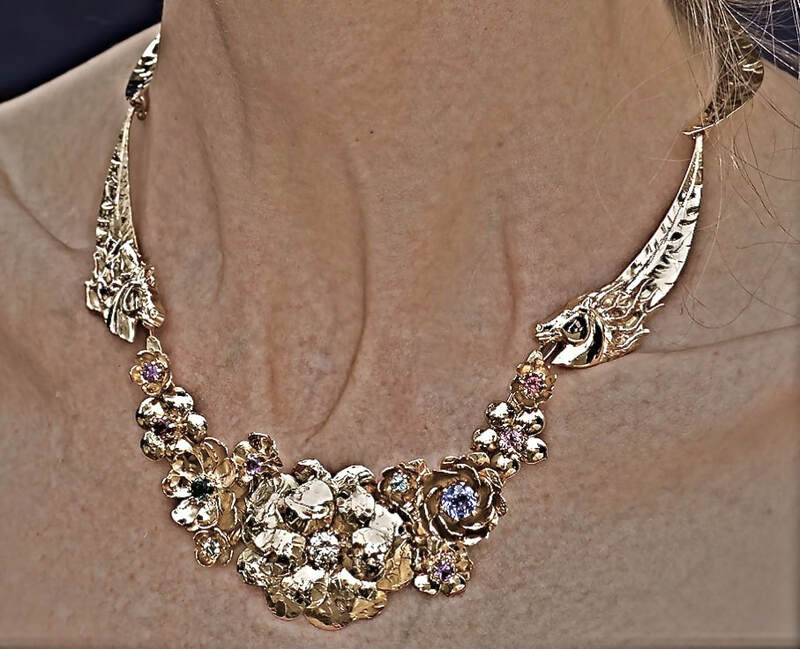 Legends suggest it fell from heaven in a flash of lightning. 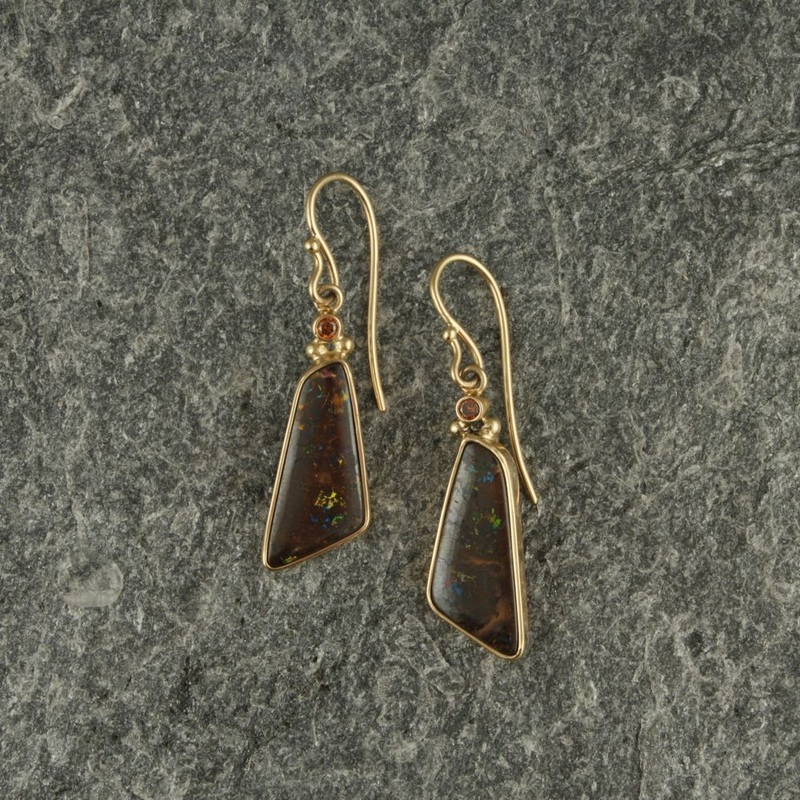 ﻿ The opal itself dates back to prehistoric times, found near the earth's surface in areas where ancient geothermal hot spring﻿s once existed. 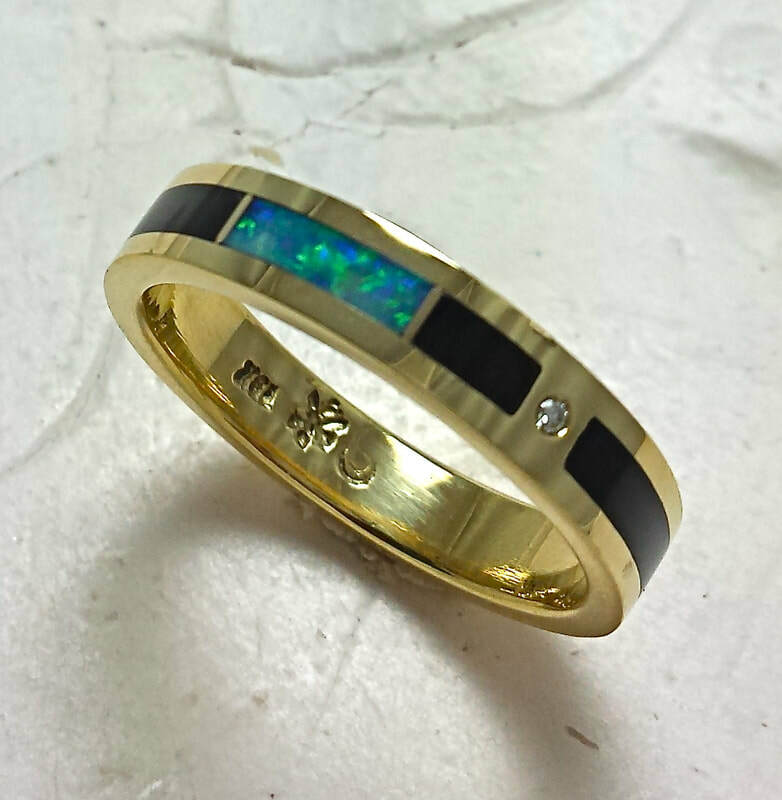 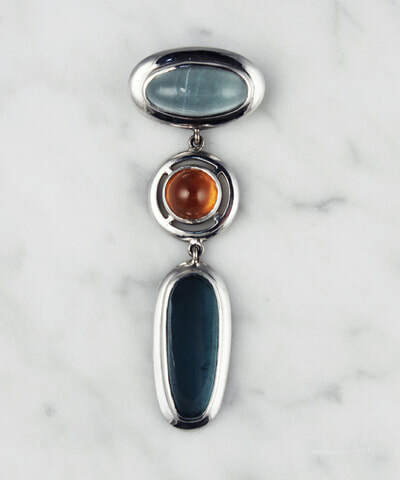 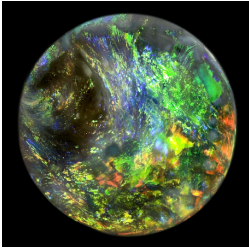 Opal holds a fascination and magnetic warmth of glowing color not found in any other stone. 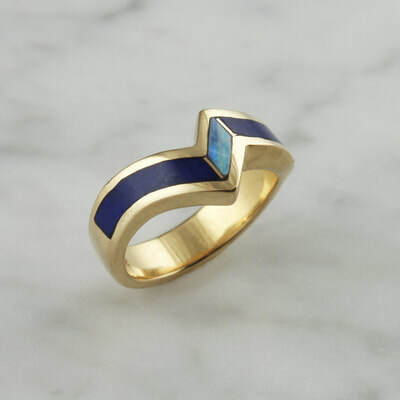 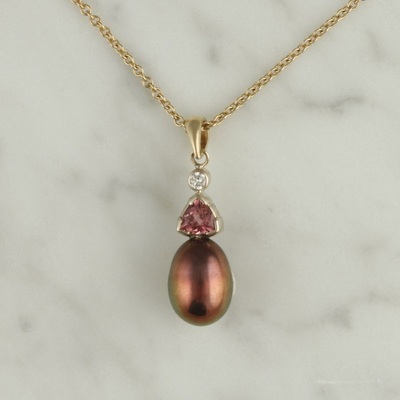 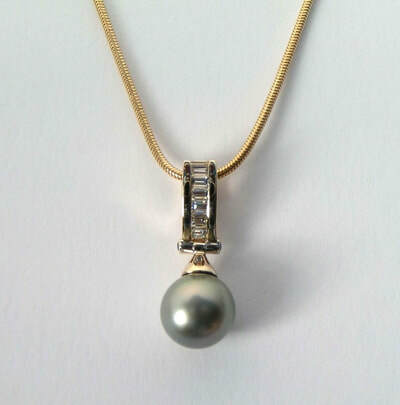 As the birthstone for people born in October or under the signs of Scorpio and Libra, and is given to celebrate both the 14th and 34th years of marriage. When considering these gems for a gift, choose one that best reflects the unique personality of the recipient. 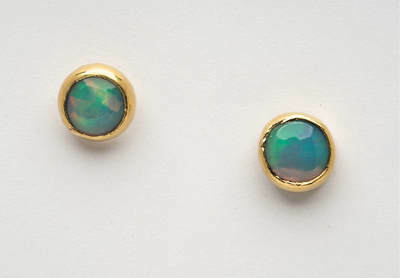 ﻿The Opal derives its name from the Latin word Opalus or ‘precious jewel’, while the Greeks later called it Opallos ‘to see a color change’. 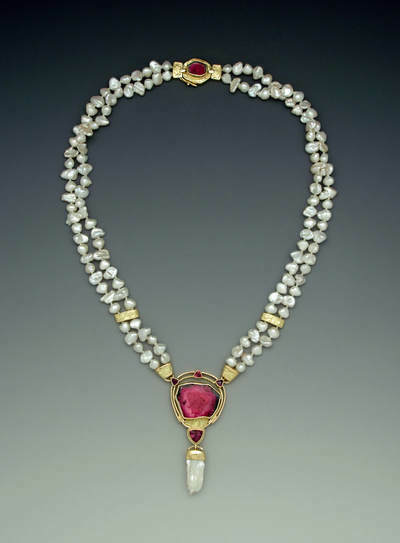 Modern sources say its name comes from the Sanskrit úpala. 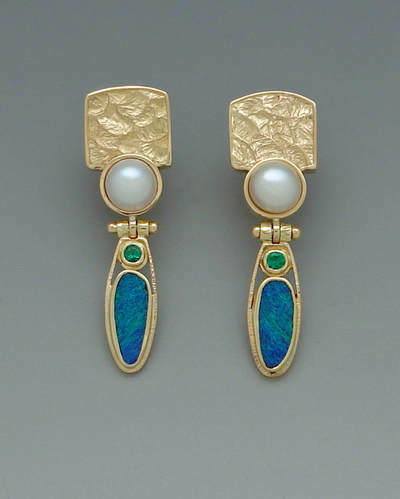 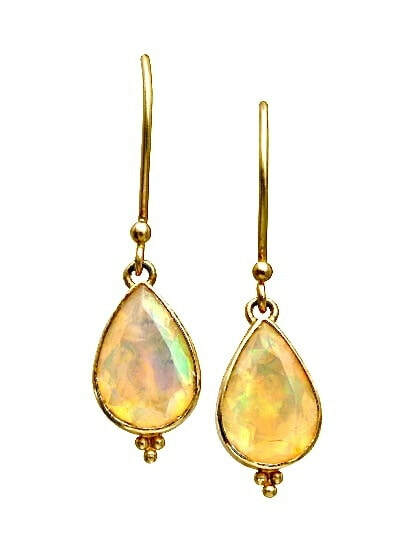 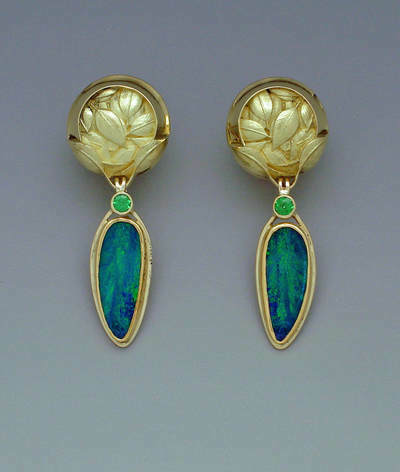 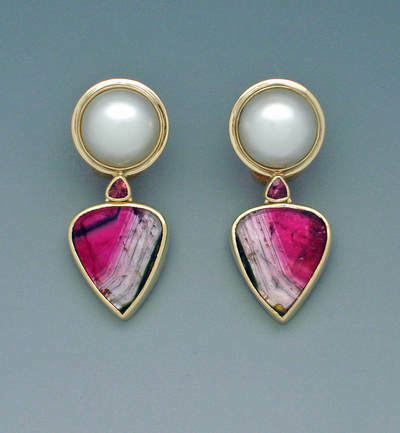 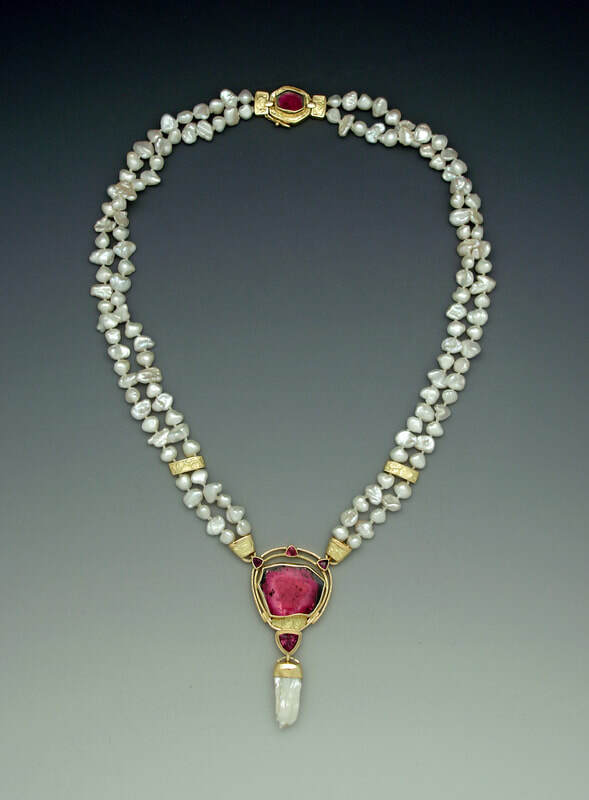 Opals were supplied by traders from the Bosporus region, while the gems themselves originated in India. Since the opal refracts and reflects wavelengths of light, it was affectionately called "Cupid Paederos" by the Romans, meaning “a child beautiful as love”. 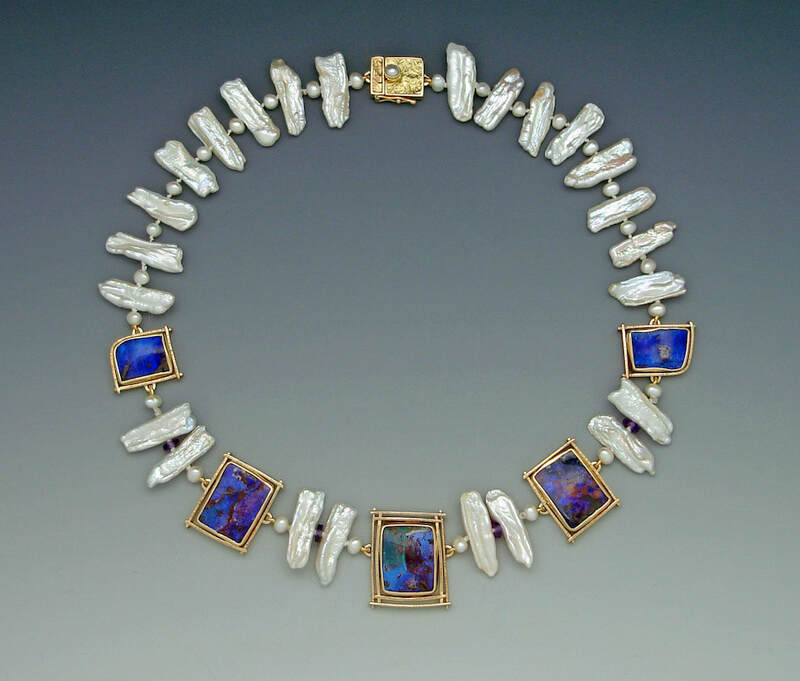 Ancient monarchs treasured Opals for their beauty and protective powers, and set the gemstone into crowns or necklaces as it was believed to ward off evil and protect eyesight. 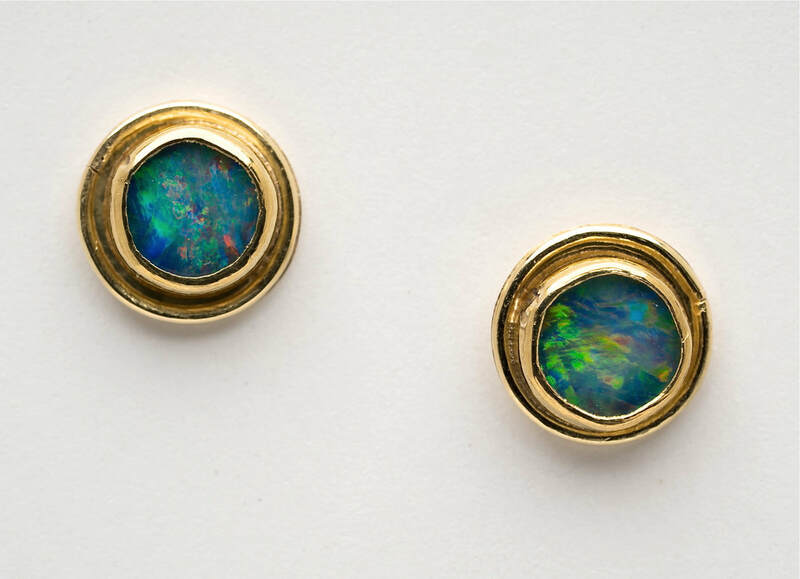 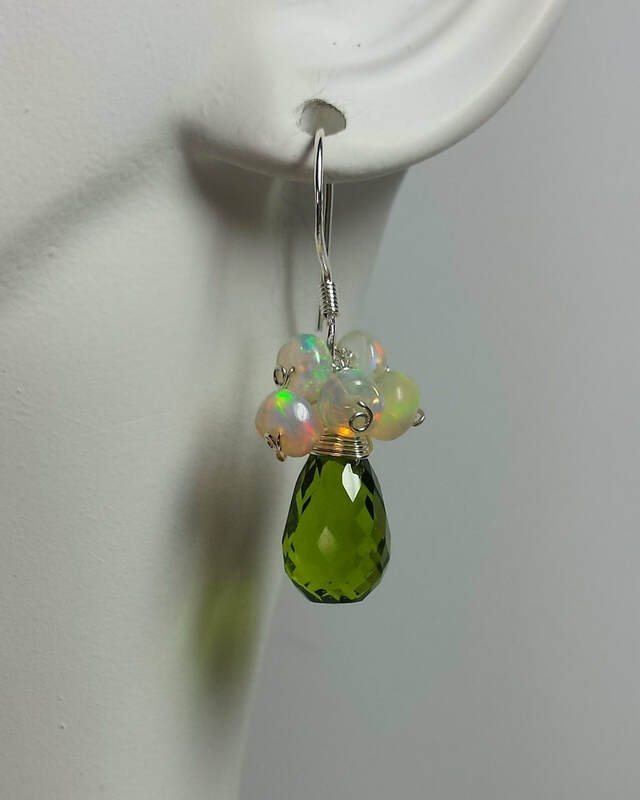 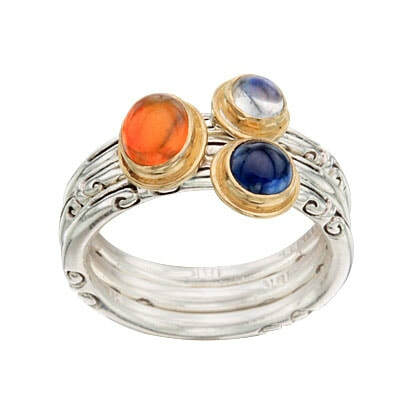 In the Middle Ages, the opal was considered to bring great luck because it was thought to possess all the virtues of each gemstone combined, with each of their colors represented in the color spectrum of the opal. 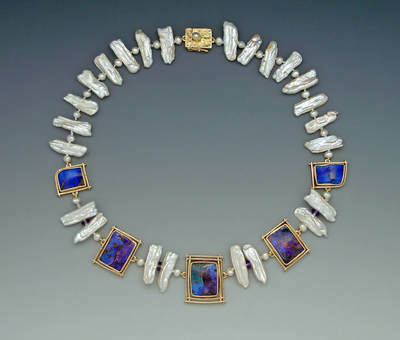 In medieval times, fair maidens wished for a necklace made of opals, as it was considered an absolute guarantee to prevent one’s hair from fading or darkening. 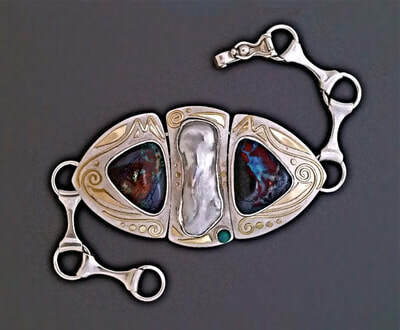 It was also said to confer the power of invisibility if wrapped in a fresh bay leaf and held in the hand. 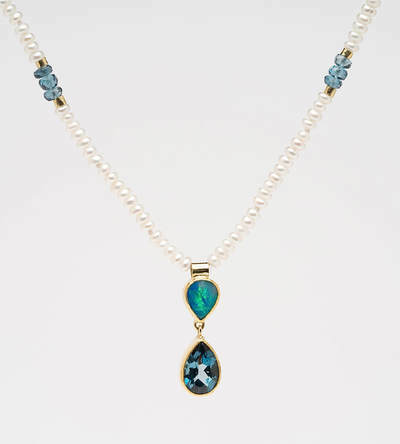 ﻿In Asia they were revered as the 'anchor stone of hope'. Among the ancients, opal was a symbol of fidelity and assurance, and in later history it became associated with religious emotional prayer. It was believed to have a strong therapeutic value for diseases of the eye, and when worn as an amulet, it would make the wearer immune from disease as well as increase the powers of the eyes and the mind. 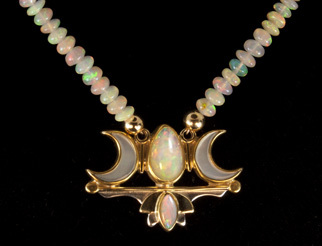 Opals were also ground and ingested for their healing properties and to ward off nightmares. A gift of Opal is symbolic of faithfulness and confidence. Their beauty has stirred the hearts of artistic souls and the passions of mankind for centuries. 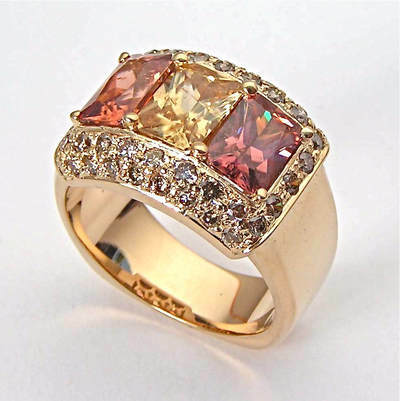 And the powerful energy radiating from this fiery gemstone will surely illuminate any occasion. 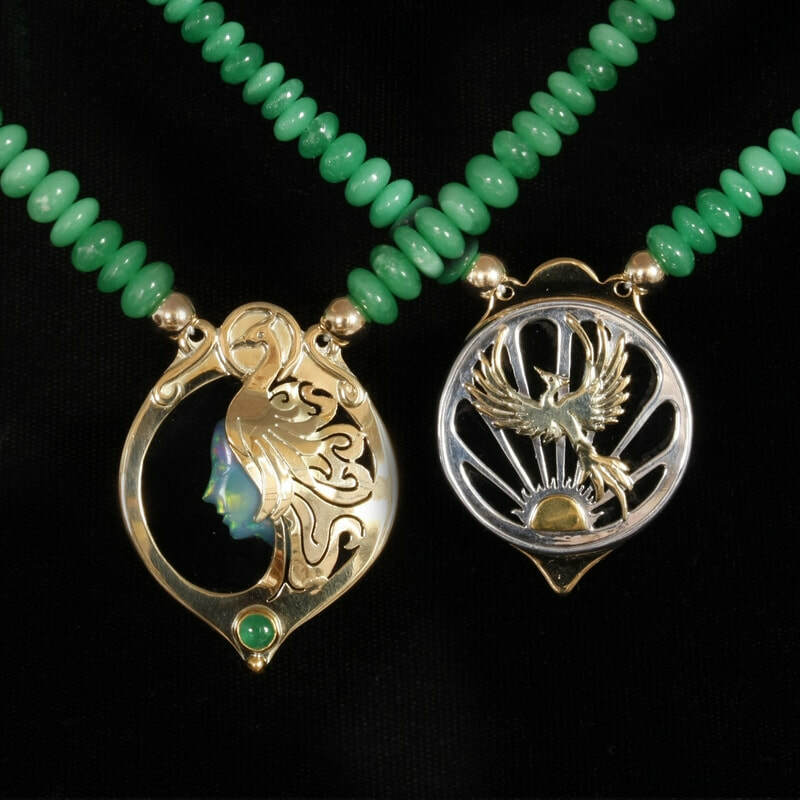 has the seemingly magical property of pyroelectricity. 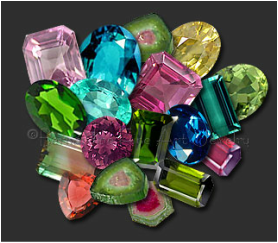 Scientifically speaking, the gem takes on a static electric charge when heated, making it capable of attracting lightweight objects. 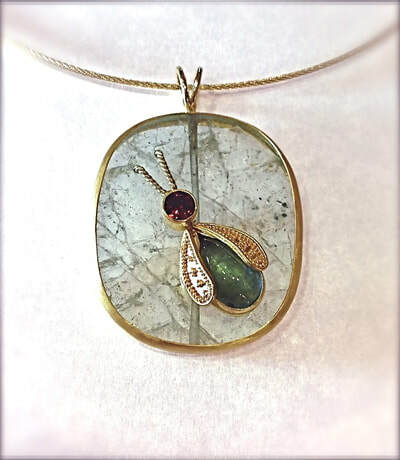 No wonder this gemstone was revered for its mystical properties centuries ago! 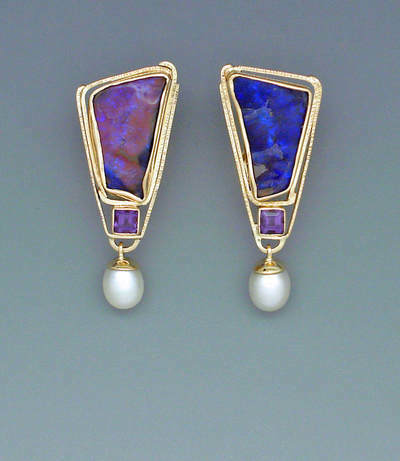 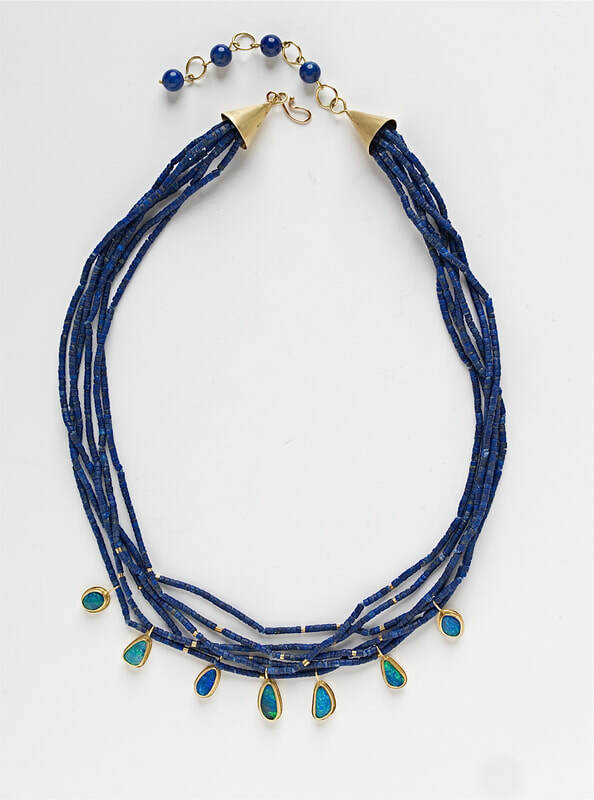 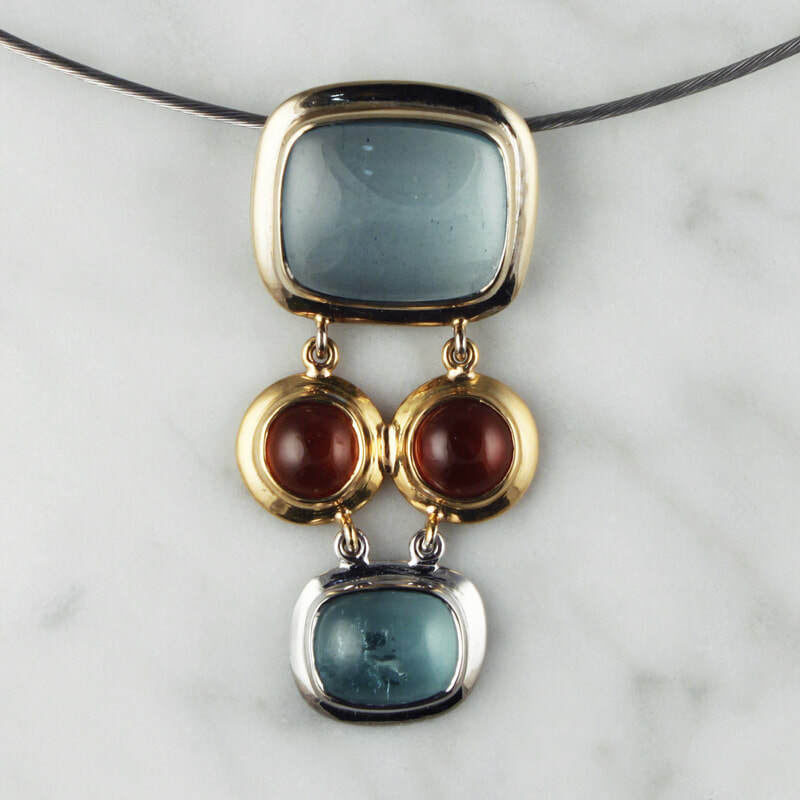 Considered the "stone of the muse," it was believed to stimulate the creative process of its wearer. 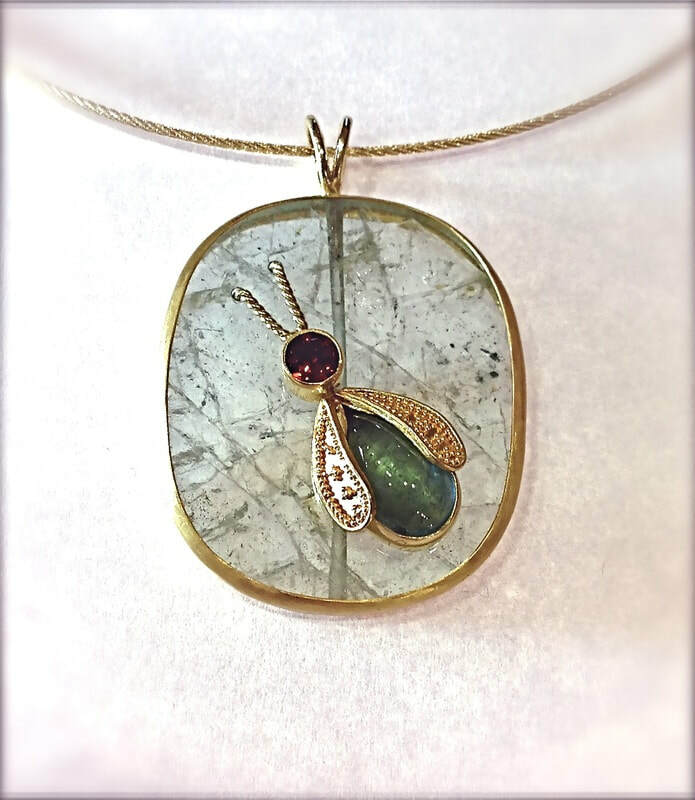 A gift of this stone is symbolic of hope. 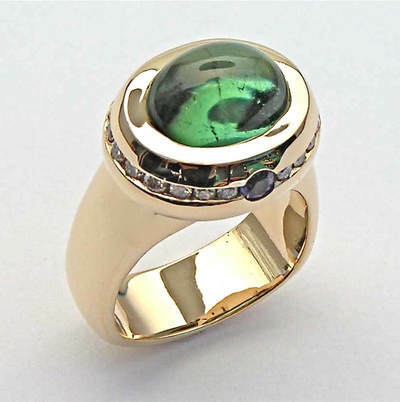 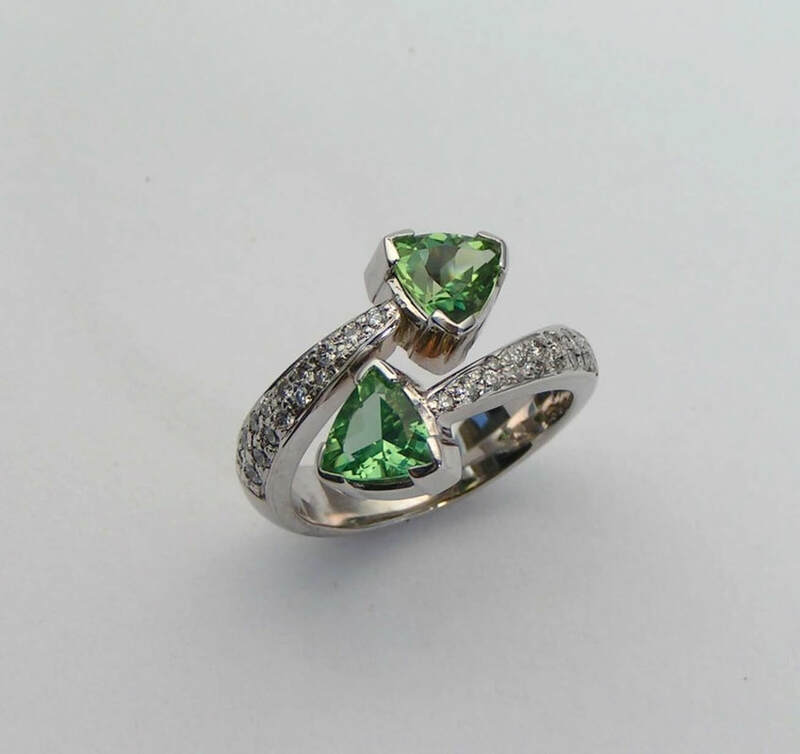 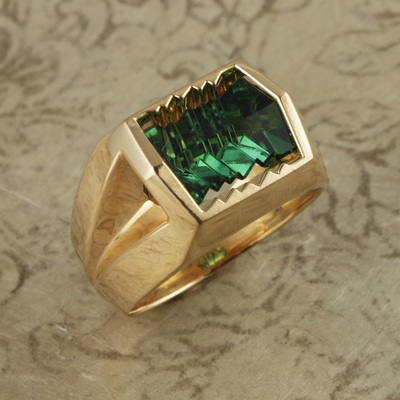 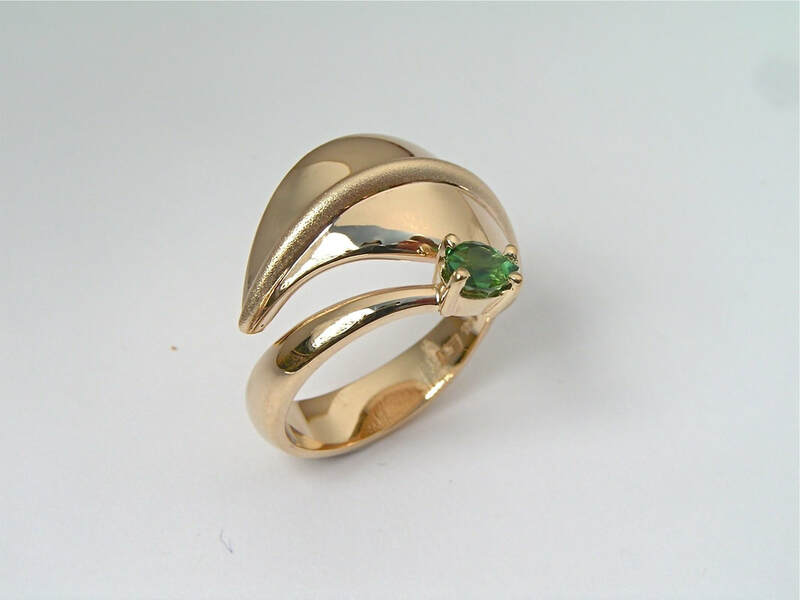 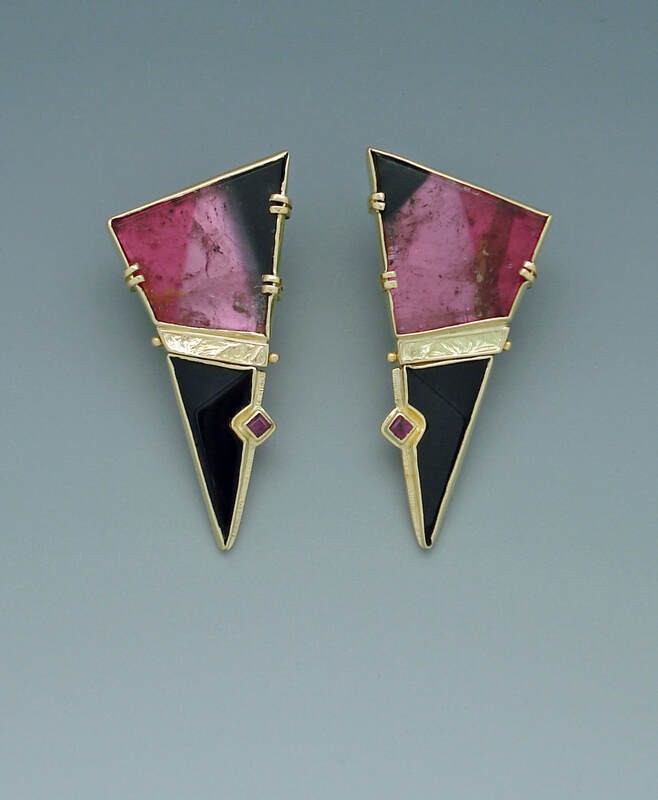 Tourmaline is believed to strengthen the body and spirit, especially the nervous system, blood, and lymphs. 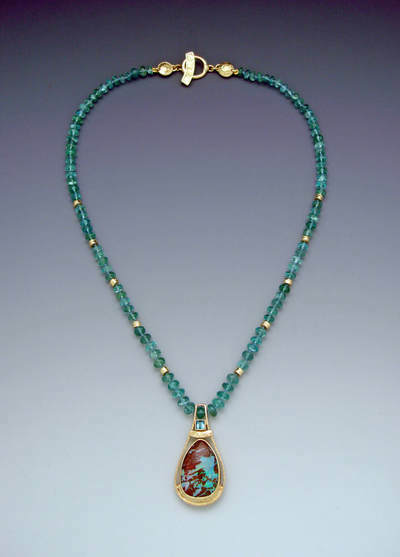 It is also thought to inspire creativity and was used extensively as a tailsman by artists and writers.